Did you love your school fundraisers? Are you a persuasive communicator? A motivated worker who thrives under pressure? Are you creative, with great business sense? A career in advertising could be everything you're looking for! Get started now with your associates degree in commercial advertising. Above all, an advertising career requires a gift for communication. English classes, debate, even drama courses teach you how to get your message across effectively. Business and computer courses will help you build the practical skills you'll need in college and the workplace. Art classes will help you learn to express ideas visually, adding an extra punch to the copy you'll write. Sociology and psychology will help you understand how people think, and how they behave in groups. Get involved in extracurricular activities, which develop your social skills. An after-school or weekend job will give you an idea of what it takes to run a business, manage a team, and sell a product. If you're an adult seeking a career change, your work experience, confidence and people skills will serve you well in advertising. Many schools offer advertising as a concentration of their larger business administration program. Other schools might offer just an advertising major. You will have plenty of programs to choose from. Make sure your program is accredited. Accreditation means that the course of study meets the educational standards of the profession. If your school is not accredited, you will not be able to receive financial aid or tuition reimbursement. If you're planning to attend a traditional school, make a campus visit. Talk with alumni whenever possible. Does the school offer career services? Will your program provide internship opportunities (invaluable in your job search)? If you're a non-traditional student, ask if the school has child care facilities as well as evening, weekend, or online classes that accommodate your schedule. At most universities, you'll need some general studies classes; Select those which will help in your advertising career, such as art, English composition, speech, and a common foreign language. You'll study business, taking such classes as business management, micro and macro economics, and statistics. 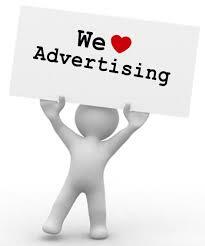 Advertising classes will include: copywriting, brand marketing, media management, campaign methods and techniques, consumer behavior, and market research. You'll learn how to use the latest media technology to deliver your message effectively and economically. You'll collaborate with fellow students on mock campaigns, analyze how advertising affects consumer decisions, and gain an appreciation for how advertising affects our economy. You'll graduate with a portfolio showcasing your skills for potential employers. Advertising is a competitive field. Expect long hours, travel, stress, deadlines and, in many cases, lucrative paychecks. Choose from such varied occupations as: manager, public relations liaison, account executive, creative director, media director, marketing/promotions manager, product development manager, market researcher, copywriter, campaign manager, graphic designer, or web developer. In each of these positions, you'll strive to communicate your client's message to as many people as possible. You won't just be selling products; you'll be helping businesses succeed, allowing them to provide valuable goods, services, and jobs that keep the national and global economies strong. Look at the colleges below and find the perfect school for you and get started today on your Associates degree in commercial advertising.